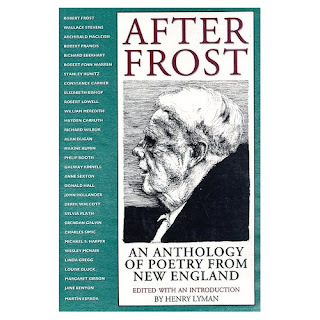 After Frost: An Anthology of Poetry from New England [811.08 AFT] is unusual in that it takes themes Robert Frost wrote about and then partners his poems with others covering roughly the same themes. Each of Frost's poems is followed by the poems of thirty New England poets. The poets chronologically follow Frost in time (Frost was born in 1874). For example, the first chapter, "The Will of the Wind," begins with Frost's "An Old Man's Winter Night." This is followed by Wallace Stevens' (b. 1879) "The Snow Man," Archibald MacLeish's (b. 1892) "The Farm," Robert Francis' (b. 1901) "The Reading of the Psalm," and ends with Martin Espada's (b. 1957)"The Music of Astronomy." Bad neighbors make good fences. I love Eberhart's short, zinging reply to Frost, don't you? 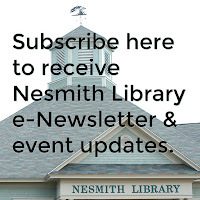 This week the Poetry Friday Round-Up can be found at Check It Out--check it out! If you've been watching the Olympics you've been dazzled by the display of various skating skills--from speed skating to ice dancing. If you haven't been watching, you can go to the official website, Vancouver2010, and catch some of the competitions on video. It might be too late for you to dream about Olympic skating prowess, but it may not be too late for your kids or grandkids. Here's where the library comes in--we have books for kids on all aspects of skating! In our adult services magazine area, we carry the bi-monthly magazine, International Figure Skating [MAG INT] so that you can keep up with the latest in the sport. The whole family can sit down to enjoy watching Miracle [DVD MIR] the film about the gold-medal winning U.S. Hockey Team. Coffee and So Much More! Do you know that our obsession with coffee can be traced back to the 15th century? We have a number of books on the history of inventions including Arab Science and Invention in the Golden Age by Anne Blanchard [J 509.17 BLA] and A History of Invention: From Stone Axes to Silicon Chips by Trevor I. Williams [609 WIL]. Last weekend, the New York Times carried an piece called, "When There Were Arts Olympians" by Charles Isherwood. Isherwood bemoaned the fact that "art" is no longer associated with the Olympics. Athens to Athens: The Official History of the Olympic Games, 1894-2004 by David Miller [796.48 MIL] has a few pictures of Olympic poster art, as well as a ton of information about the modern day Olympics. There is a new biography of Emily Dickinson called Lives Like a Loaded Guns: Emily Dickinson and Her Family's Feuds by Lyndall Gordon. It just came out in England, but alas, it won't be released here until June! I went looking for biographical information about Dickinson and found that the only books we have on her life are in the children's room! 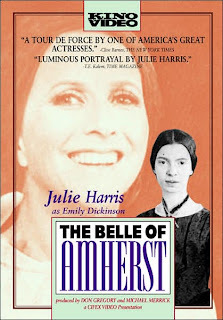 It seems that the mousey woman portrayed in many books, and in the play, The Belle of Amherst: A Play Based on the Life of Emily Dickinson by William Luce [812 LUC] (also in DVD starring Julie Harris [DVD 812.54 BEL]) may have been a myth. Dickinson was a vibrant personality who chose to be seen as a recluse. Gordon hypothesizes that Dickinson may have had epilepsy, a disease, which at the time stigmatized its sufferer, and as a result she made a conscious decision to stay out of the public eye. I look forward to learning more about Dickinson and the new book by Gordon! We lost one of our outstanding African American poets last week. 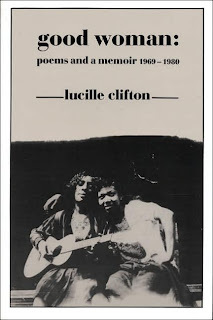 Lucille Clifton died at the age of 73 in Baltimore, MD. tap dancing for my life. I don't believe the tap dancing is against her will, do you? Adults may not realize that Clifton was also a writer for children. Her picture book, Everett Anderson's Goodbye [JP CLI], is often recommended as a book to use with children who have to deal with a death, since it succinctly covers the stages of grief and is written for a child, not an adult. Clifton's passion and compassion will be missed. Last year novelist James Patterson released a book called The Murder of King Tut: The Plot to Kill the Child King: A Nonfiction Thriller [932.014 PAT]. Now comes news that Tut may have died of disease. The poor king lived a short 19 years, but he seems to have lived a miserable life with malaria, broken bones, a cleft palate, and a club foot. NPR's All Things Considered ran the story if you'd like to listen, instead. Other books in our collection cover the particulars of Tut's tomb, his life, and his death. You'll find titles such as The Tomb of Tutankhamen by Michael Woods, in our children's section [J 932.014 WOO] and Tutankhamen: The Life and Death of the Boy-King by Christine el Mahdy [B TUT], and another book on Tut's speculated murder called The Murder of Tutankhamen: A True Story by Bob Brier [932 BRI]. Before the Library moved up the hill back in 1997, there was an active quilting group which met at the library. The group created a quilt each year for which they sold raffle tickets. The proceeds went to purchase books for the Library. I'm not sure why the group disbanded, but it has been resurrected and meets in the multipurpose room several times a month. The group is completing a quilt for this year which they hope to unveil at Town elections in March. Again, raffle tickets will be sold--keep watching the local papers for details. One member of the group told me that the design they are working on is based upon one that is found in Quilts! Quilts!! Quilts!!! : The Complete Guide to Quiltmaking by Diana McClun [746.46 MCC]. I hope you got a box of chocolates for Valentine's Day, because studies suggest that a little bit of chocolate each week can reduce your risk of stroke. A recent USA Today article mentions chocolate as one of the "superfoods" found to be beneficial to your health. We have two books on superfoods, both by Steven Pratt, Superfoods Rx: Fourteen Foods Yhat Will Change Your Life [613.2 PRA] and Superfoods Healthstyle: Proven Strategies for Lifelong Health [613 PRA]. Enjoy! The Library is closed today to celebrate the Presidents' Day Federal holiday. We have plenty of books on George Washington and Abraham Lincoln, especially in our children's biography section. Two more recent ones are Abe's Honest Words: The Life of Abraham Lincoln by Doreen Rappaport [J B LIN] and Farmer George Plants a Nation by Peggy Thomas [J B WAS]. A rather interesting twist on the traditional Abraham Lincoln book for kids is Old Abe Lincon: An Old Tune With New Lyrics by Jim Aylesworth [JP AYL]. This simple song, sung to the tune of "The Old Grey Mare," was adapted from an actual campaign song for Lincoln during his run for the presidency. Enjoy the day and we'll see everyone tomorrow when the Library reopens at 9:00 AM. You're familiar with all the "old" American poets such as Robert Frost, Emily Dickinson, and Walt Whitman, but can you name more than one or two "new" American poets? A quick way to learn of 35 contemporary American writers is to borrow The Swallow Anthology of New American Poets [811.608 SWA] edited by David Yezzi. ...Elizabeth Bishop once recommended as the markers of a good poem: accuracy, spontaneity, and mystery. These are precisely the characteristics of the poems in this book. Accuracy is not literalism or pedantry; it is the ability to see and describe things as, at first glance or second thought, they truly are. Spontaneity is not improvisation or loafing; it is a fresh apprehension of the uneven textures of life. Mystery is not profundity or spirituality; it is the ability of a poem to clear space for what couldn't before have been anticipated, even by the poem iteself--the passing thought or startling image that makes a thrilled reader stop and wonder. "...that makes a thrilled reader stop and wonder." Yes, that's what I'm always looking for, a poem that makes me stop my reading and look for someone nearby to grab and say, "look at this!" Nature . . . has mixed us of clay and flame, of brain and mind. where all that clay turns into flame. This poem, and several others, are also available on the Swallow Press webpage. Check out this week's Poetry Friday Round-Up at www.LeeWind.org Lee's blog was voted "Best GLBT Review Blog" in 2009. Congratulations to Lee for providing a valuable service to sometimes clueless librarians, teachers, parents, the general population, and, of course, to our GLBT youth! If You Are Bothered by Earworms, DO NOT Look At This! Here's a video that I want to share with everyone just because I like it! So, why do I like it so much? Because of the catchy tune. Because it features children of color. Because it celebrates learning. Unfortunately, I'll be having "Single Ladies (Put a Ring on It)" by Beyoncé running through my head for the rest of the day! By the way, the original is on the CD I Am...Sasha Fierce [CD FEMALE VOCALIST BEY]. Another version can be found on Alvin and the Chipmunks: The Squeakquel film soundtrack [CD SOUNDTRACK SQU]. My all time favorite is the Beyoncé SNL video with backup dancer, Justin Timberlake. There are many more titles, but this is a start. If you feel I've missed one that absolutely, positively, must be included, please add it to the comments below. We have a new coffee shop opening in town, Coffee Roasters Cafe. Coincidentally, we recently added a fiction series called "Coffeehouse Mysteries." They are written by Cleo Coyle and come with clever titles such as Espresso Shot, French Pressed, and Through the Grinder [MYS COY]. Roped into creating a gourmet coffee and dessert bar for her ex-husband's wedding, Clare faces off with the bride-to-be. Wealthy and sophisticated, the snarky Breanne has never been a low maintenance kind of gal, and now she's in full-blown bridezille mode. The only way Clare can possibly deal with her is to focus on business. But murder is Clare's business, too, and when fatal accidents begin befalling people close to Breanne, Clare becomes suspicious. Sounds like fun, doesn't it? We own all 8 titles in the series--they're just the right thing to curl up with in an easy chair and a nice hot cup of coffee. The BBC reports that "Fish Oil Supplements 'Beat Psychotic Mental Illness.'" As the expression goes, "everything old is new again." I'm sure some of my older readers remember the days of doses of cod liver oil! We have a small collection of poetry from Asia in our adult section. I hope to add to it in the near future. For now, though, a few haiku books and a slim paperback called Three Chinese Poets [895.1 THR] will provide plenty of poetry to share. In Three Chinese Poets, poems of Wang Wei, Li Bai, and Du Fu have been translated by Vikram Seth. If the name Vikram Seth sounds familiar, it should, Seth is an accomplished novelist whose work includes, most notably, A Suitable Boy [F SET], a book of 1349 pages. The poems by the three Chinese poets are surprising short, most take up less than a half page. All three poets can be considered ancient in that they lived in the 700s. Their poems, though, are full of the same emotions that poets today write about--love of nature, loneliness, friendship, etc. And only flocks of gulls come every day. Is open: you're the first to come this way. The market's far: my food is nothing special. Across the fence to drink it with us two. 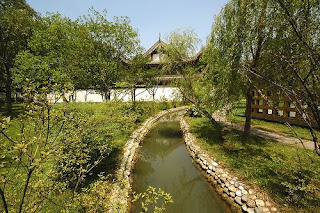 How well Du Fu has incorporated both longing and contentment into one brief poem! 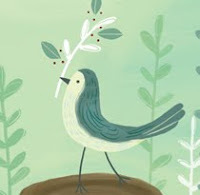 Check out the Poetry Friday Round-Up at Great Kid Books. The nominations for this year's Academy Awards were announced on Tuesday. We have some of the nominated titles for Best Picture in our collection already, as well as books that some of the films were based on! Precious: Based on the Novel 'Push' by Sapphire. Yes, that is the film's title! No, we don't have it yet on DVD, but we do own the novel [F SAP]. A Serious Man. This will be released next Tuesday on DVD; we have it on order. Up in the Air. We have the original novel, of the same name, by Walter Kirn [F KIR]. There's a fascinating article from the New York Times titled "James Patterson Inc."
A mere 24 years ago, James Patterson's first novel sold 10,000 copies. Last year, an estimated 14 million copies of his books in 38 different languages found their way onto beach blankets, airplanes and nightstands around the world. Patterson may lack the name recognition of a Stephen King, a John Grisham or a Dan Brown, but he outsells them all. Patterson writes for both adults and young adults, and he has become a one-man book factory. Patterson owns the factory and has a staff of writers working for him. Do an author search in our catalog and Patterson, James will bring up 106 items (books and audios)! Some of which include the adult novels The Eighth Confession, I, Alex Cross, Alex Cross's Trial, Run for Your Life, Swimsuit; the young adult novels Daniel X: Watch the Skies, Maximum Ride: The Angel Experiment, and the nonfiction work, The Murder of King Tut: The Plot to Kill the Child King [932.014 PAT], all of these titles were published in 2009! And, in the first month of 2010, Patterson has come out with yet another novel, Worse Case. In his spare time Patterson has set up a website called James Patterson's ReadKiddoRead.com "dedicated to making kids readers for life." Jerry? Jerry, is the late J.D. Salinger. Salinger, a long-time resident of Cornish, NH, was known as Jerry to the locals. J.D. was for Jerome David. We have Salinger's classic, The Catcher in the Rye, as well as Franny and Zooey and Nine Stories [all F SAL]. We periodically get requests for the audio of The Catcher in the Rye, but we haven't been able to fill the requests because Salinger never sold the rights for an audio version. I assume he also never sold the rights to a movie version. Whether or not his estate continues this practice remains to be seen. I can't wait to see what writers are going to produce in the realm of "tell-all" versions of Salinger's life, now that he's not around to put a stop to it. But, I have a feeling that anyone who, "was a regular at the $12 roast beef dinners at First Congregational Church in Hartland, Vt," isn't going to provide too much in the way of sensationalism. Stay tuned! 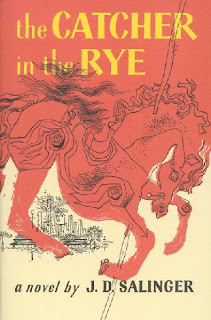 For an interesting look at the various covers used to attract readers to The Catcher in the Rye, click here. In my many years I never consciously registered a song that included libraries and/or librarians, with the exception of one by the Beach Boys, and a few songs for children. Now I've come across "10 Best Songs About Libraries and Librarians," and not one of them is a kid's song! Who knew? The article is about a "mixtape" of these songs. Mixtape is a term that, despite its relative newness to the English language, has already morphed into something else. Nobody makes "tapes" anymore! Now you burn a CD or share files. Funny how quickly things change. 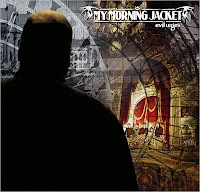 Of the top 10 library songs, we have "Librarian" by My Morning Jacket on Evil Urges [CD ROCK MY] and The Beach Boys' "Fun, Fun, Fun" on All-Time Greatest Hits [CD ROCK BEA]. livemixtapes.com is a site where you can explore mixtapes to your heart's content.